Visit us any time between 8am and 5.30pm on weekdays or by appointment on a Saturday morning or email images to crawley@chipsaway.co.uk. If these options do not suit, we can arrange a visit. 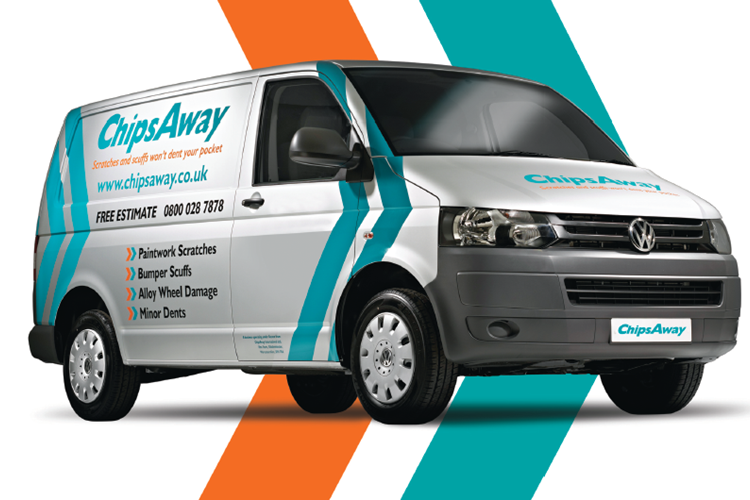 Steve and Anne have been ChipsAway franchisees since 2010. They have a team of highly trained technicians in their 2 workshops in Crawley and Chichester. Their skilled team undertake top quality repairs from the smallest scuff to complete body resprays. The quality of their work has ensured that they provide services to many premium brand car dealerships in their local area. I just wanted to say thank you to the excellent team at Crawley ChipsAway. I took my car in for scratch repair; they did an excellent job and were professional and helpful throughout. Whilst I hope no to need your service again (! ), I would not hesitate to do so. I will definitely be recommending you to friend and family in the future. Well done for a great product. I would just like to say how pleased I was with the service I received at your Crawley branch. I took my Ford Fusion into Crawley, as somebody had keyed my car. I first went in for a quote and happy with that booked my car in. I was pleased with the car when I collected it, a very professional job. Would highly recommend your company to other people. I used Crawley Chipsaway for the third time today and am very happy with the quick response to an email and the fair quote given. The work is completed to a high standard and cost was reasonable. Just wanted to say a huge thanks to the whole team for the work put into my car which I honestly thought was beyond repair when I first had the accident. I turned up on Saturday to pick my car up and I honestly didn't know what to expect, being a new driver. When I saw the work that had been done, I could not believe it. Some ... Read more garages pride on speedy work, some may pride on the quality, but I would say that you should pride yourselves on both. If I ever reverse into a tree again (touch wood), I’ll be sure to call ChipsAway. Anne at ChipsAway Crawley and her team have just completed an amazing job repairing my VW Golf. I cannot be happier with the work they completed and am grateful with their flexibility when borrowing their hire car. Thanks again!! I used Chips Away in Crawley West Sussex. The email/phone service is very quick and easy to use. The receptionist Anne was professional and informative. Jay (the technician) was very knowledgeable and courteous. The repair was a very good standard, Jay was able to explain what they could manage prior to starting the job. Excellent ... Read more communication throughout the whole process. I can highly recommend the team at Crawley. Efficient, courteous and an excellent job. No hesitation in recommending to anyone. Chipsaway at Crawley did a magnificent job on my Mitsubishi Galant 1999 classic, bodywork repairs, welding, restored wheel arches, paint work and fitted new carbon fibre bonnet; so many skills under one roof. Mitsubishi main dealer, whilst fitting new door seals, inspected the work done and were very impressed, could not find fault. ... Read more I will trust Chipsaway to do work on my motor anytime. Chips Away Crawley was recommended to me for restoration work including welding & complete respray on my 1965 Bentley T1, which if I had known the amount of work it needed, I might not have taken it on in the first place, But the team at Chips Away were not fazed by the amount of work that was needed, showing that chips & dents are ... Read more not the only work they can do, The attention to detail on both welding and paintwork is some of the best I have seen, They are a friendly team always willing to discuss the project & show how it is progressing. Extremely pleased with the work done on the car brilliant colour match, and car was ready for collection at day promised. A company i would recommend.